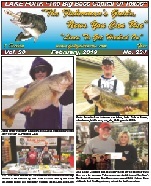 "The Fisherman's Guide, News You Can Use"
"The Fisherman's Guide, News You Can Use,"
is published monthly and is available free through our advertisers, area merchants, Chambers of Commerce, and newsstands in the Northeast Texas area. All rights are reserved. 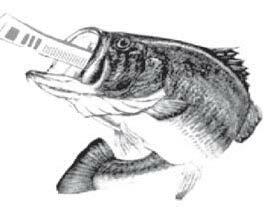 Reproduction in whole or in part without written consent is strictly prohibited. We welcome manuscripts and/or photographs. Postage must accompany all materials if return is required. Any erroneous reflection upon the character, reputation or standing of any individual or business will be corrected in the next editon upon being called to the publisher's attention.